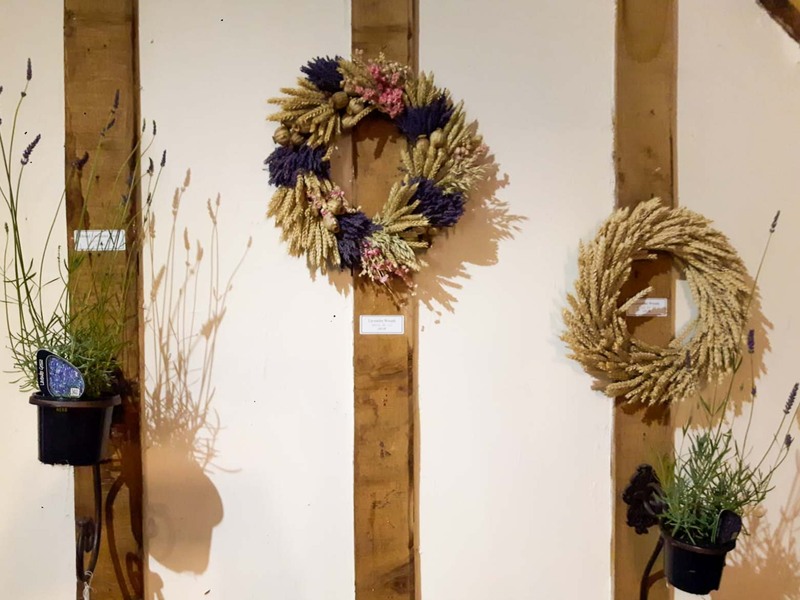 Our beautiful looking lavender wreaths bring a touch of rustic charm to our barn and are something that attract notable interest and admiration from our visitors. The wreaths provide a long lasting display, with a year round fragrance that is both calming and evocative of more summery months. 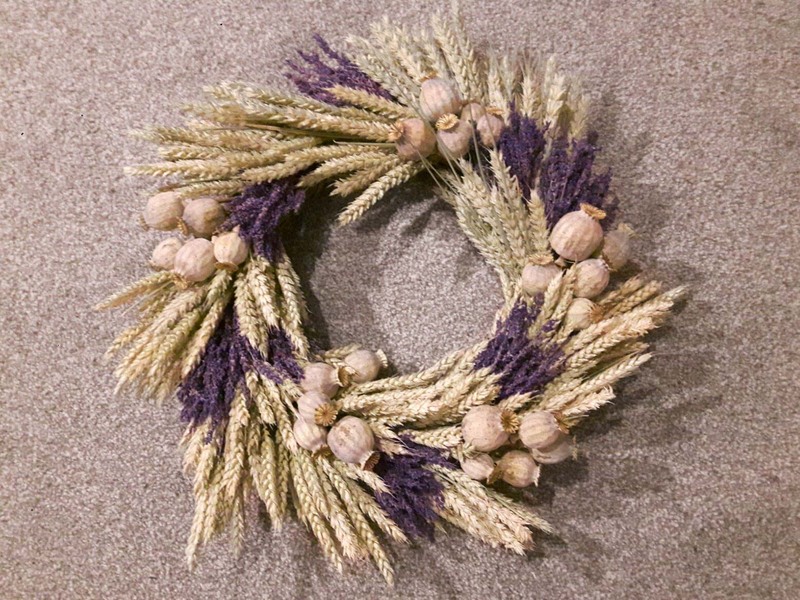 They may appear to be quite intricately produced but with the help of our simple how to guide, they can be easily replicated by someone new to wreath making. 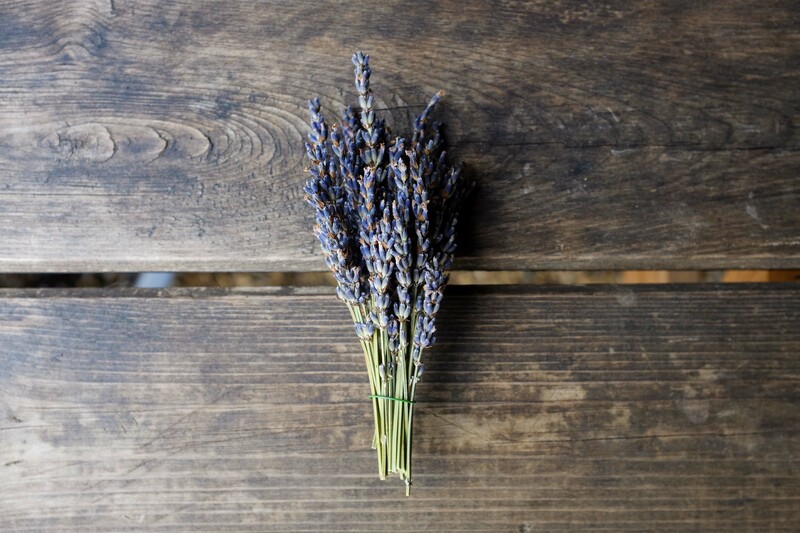 If you’ve visited us before and still have some lavender left, maybe you could try your hand at fashioning your own at home or perhaps you may be inspired to plan a floral project for when you can next get your hands on our lavender! 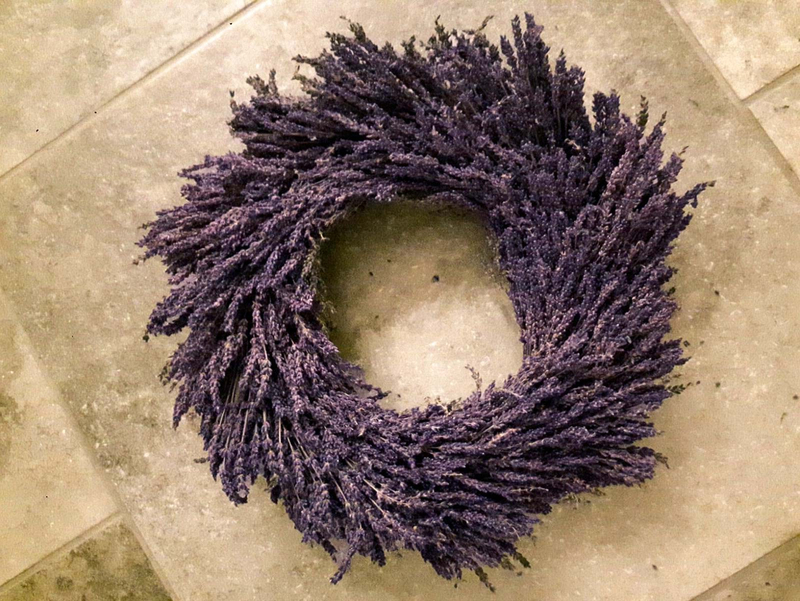 To make a lavender wreath you will need to wrap lavender (you can use fresh or dried) and any other flowers or foliage into about 10 mini-bunches by using flexible wire. 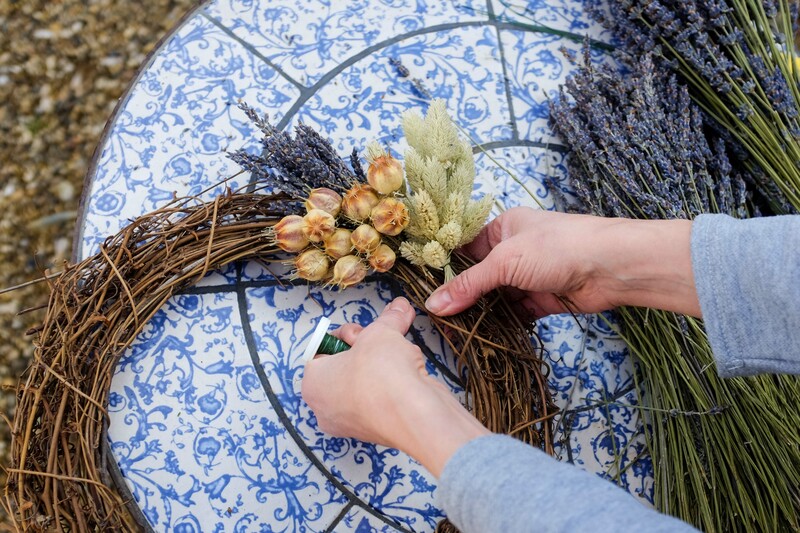 We’re also using phalaris heads and nigella pods in our wreath but the same method applies to any decorations you use. Just keep the bunches small and compact! The bunches should be trimmed to the same length, keeping the stems very short. 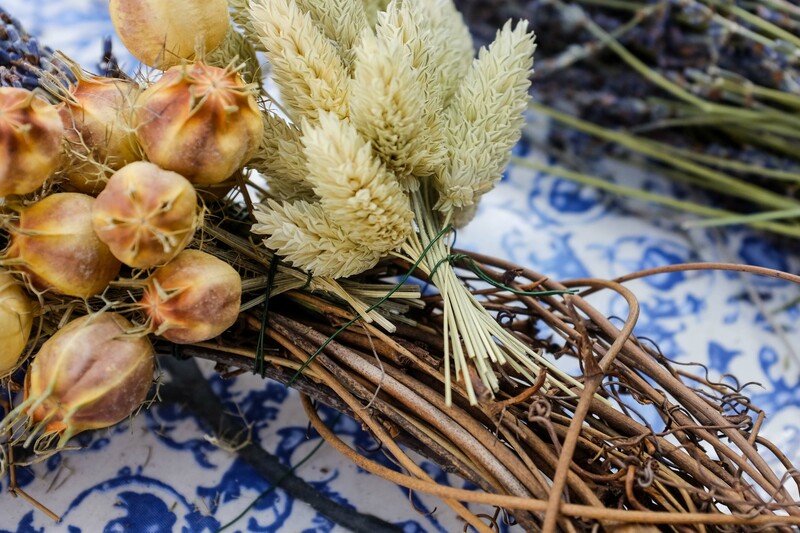 A pure type of Angustifolia lavender such as Folgate is an ideal variety to use for this craft as the flowers keep the deep blue colour for longer when dried, where as an Intermedia variety, such as Grosso, will stay more fragrant but you can use any variety to create a wreath. You can add in any kind of green foliage you like or perhaps some decorative eggs if you’re going to get cracking and would like to create an Easter themed wreath. 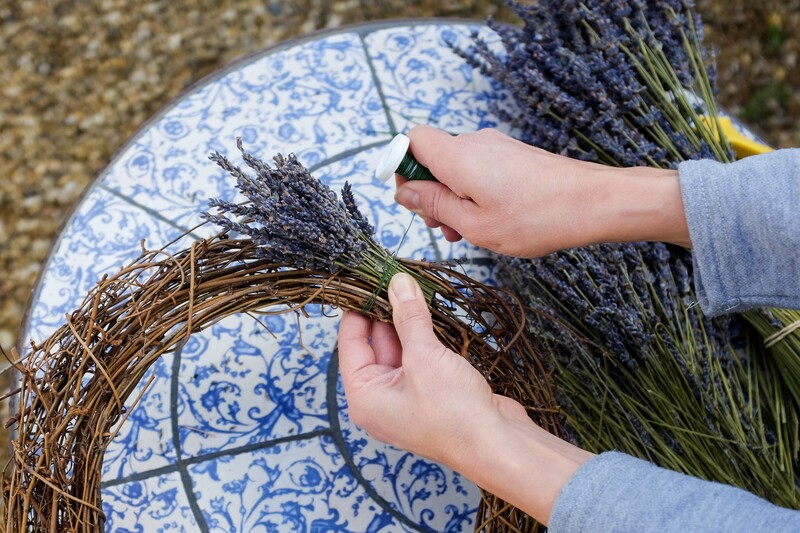 Lay 3 mini-bunches at a time, facing in the same direction, in a row across the base to create your first layer of lavender. 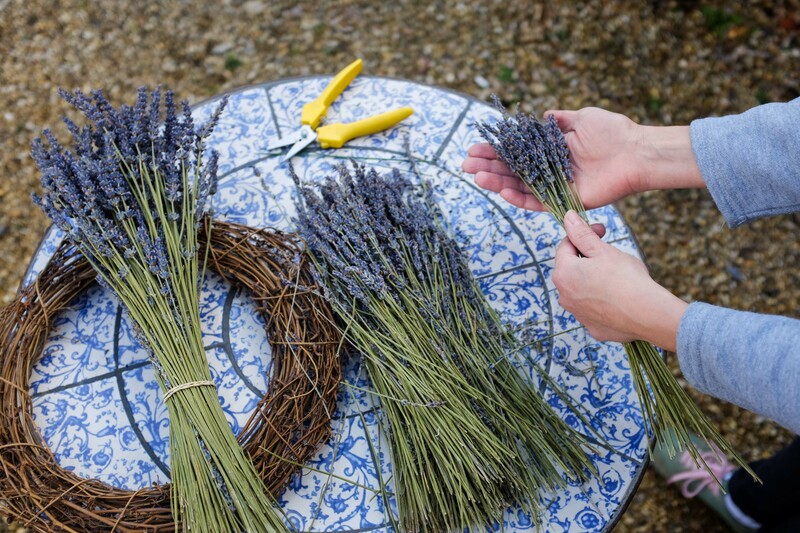 Secure the bunch of lavender to the wreath base by wrapping twice around the stem with wire. Proceed around the base, layering each successive layer of mini-bunches until you meet the original wrap. Tuck the ends of the wrap under the tips of the first wrap as tidily as possible. Make an off centre loop for hanging on the reverse side or backside of the wreath. If you like, you can add a ribbon around it. Freshen with lavender essential oil as needed. 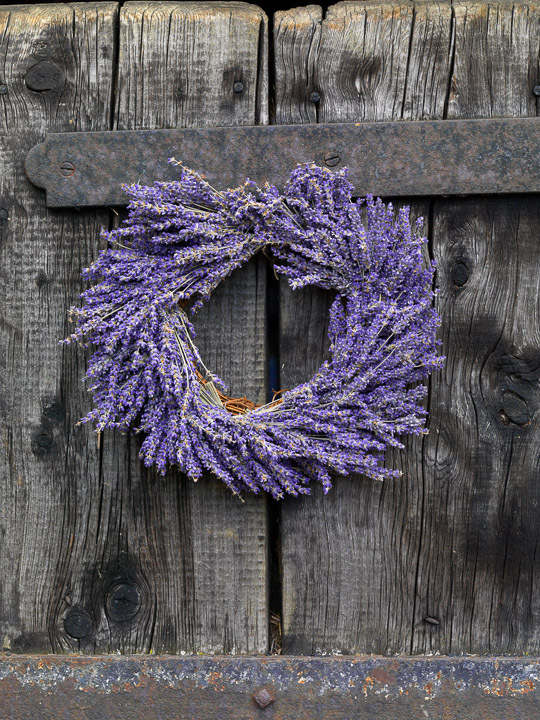 If you have a go at making your own (or have made a lavender wreath before), send us a photo of your wreath to info@hitchinlavender.com as we’d love to see it. If you’d rather do some crafting under the guidance of more practiced hands, we host a number of workshops at the farm, run by our lovely team of crafts experts. Take a look at our website and Instagram. Previous postMother’s Day Special: What else is blossoming at the farm this spring?